Nick Offerman jams out in this Red Hook father-daughter indie-rock comedy. Director Brett Haley and Stars Nick Offerman and Toni Collette in Attendance! 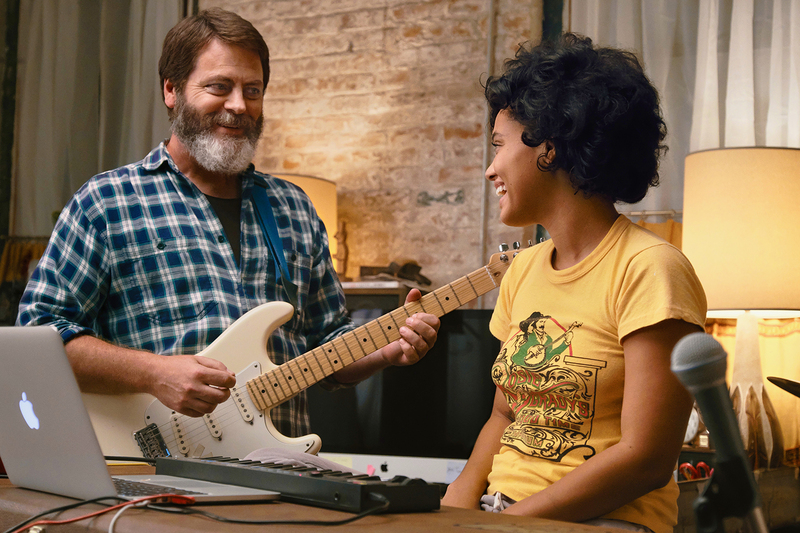 In the hip Brooklyn neighborhood of Red Hook, single dad and record store owner Frank (Nick Offerman) is preparing to send his hard-working daughter Sam (Kiersey Clemons) off to college, while being forced to close his vintage shop. Hoping to stay connected through their shared musical passions, Frank urges Sam to turn their weekly "jam sesh" into a father-daughter live act. After their first song becomes an Internet breakout, the two embark on a journey of love, growing up and musical discovery.A GUNPOWDER & SKY release. This event is sold out. No refunds. In the event of rain, show will be held indoors at the same location. No outside alcohol is permitted.